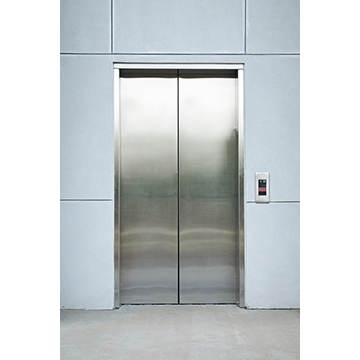 An employee says she was injured while entering an elevator when its doors closed unexpectedly. Will she get workers’ comp? Let’s go to the (surveillance) tape! Theresa Williams worked as a hearing officer for a state agency in New York at an office building in Brooklyn. She says on May 28, 2015, as she was stepping into an elevator, the doors closed abruptly and struck her. Williams said she started to feel pain in various parts of her body later that day and filed an incident report. She sought medical treatment the next day and was diagnosed with sprains to her neck and back along with bruises to both shoulders and hips. She was out of work for about four months and filed a workers’ comp claim. The employer and its insurance company denied the claim. A Workers’ Compensation Law Judge also denied her benefits after a review that included video surveillance tapes of the incident. The WCLJ said Booth had exaggerated the incident and her injuries weren’t the result of an accident rising out of and in the course of her employment. The Workers’ Compensation Board upheld the WCLJ’s decision. Booth appealed to a state court. Her doctor’s medical notes state her injuries were a result of the elevator doors closing on Booth. But that was based on Booth’s account of the incident. The video surveillance tape that was taken inside the elevator as Booth was entering shows a door bumped her right side as it was closing but did not knock her off balance. The video shows Booth seemingly unfazed as she remained on the elevator using her cell phone. “In view of the video surveillance tape, the Board could reasonably conclude, under the circumstances presented, that being struck by the elevator door was not an accident arising out of and in the course of [Booth’s] employment and that [Booth] exaggerated the severity of the incident,” the state court wrote in its opinion. The state appeals court dnied Booth’s workers’ comp claim. She needs to be prosecuted for fraud.